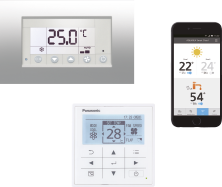 March 7, 2019 – Panasonic Heating and Cooling will preview the new Aquarea J Generation at ISH, the world’s leading trade fair for the sustainable management of water and energy in buildings (Frankfurt, 11h – 15th March). 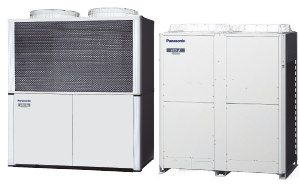 Located in Hall 11, Booth E67, Panasonic will highlight the environmental benefits of its new Aquarea J Generation of air-to-water heat pumps and showcase new commercial solutions. Aquarea is known for being a highly efficient solution, utilising the air as a renewable energy source. 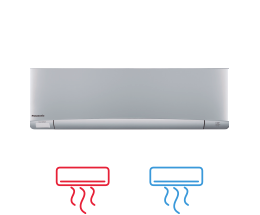 Now, the J Generation features an improved heating efficiency compared with the previous generation, with a COP of 5.33 on the WH-UD03JE5 model and a Domestic Hot Water (DHW) COP of up to 3.30. From September 2019, models will be rated A+++ in low temperature operation, which is the highest energy class, according to the new Energy Labelling Directive 2010/30/EC. To support a more environmentally-friendly approach, Aquarea uses R32 refrigerant. R32 is easy to recycle, has zero impact on the ozone layer and 75% less impact on GWP (global warming potential), helping to lower the carbon footprint of a building. It is also a more economical alternative with higher efficiency and 30% less refrigerant used, so customers can enjoy cost savings as well as significant environmental benefits. Aquarea J Generation can reach an output water temperature of 60˚C. With a sensor selector switch, the user has the option of setting the hot water supply so that Aquarea works with the best possible COP for DHW production. If a larger amount of hot water is needed, the controller optimises the unit for maximum bulk output. This means that if all family members want to take a shower, the Aquarea will always reliably provide hot water – likewise for if only one person takes a shower. 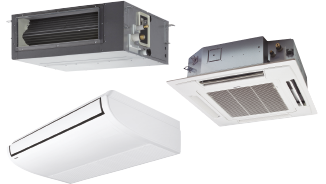 In addition, the J Generation can cool down to 10°C and control the indoor comfort conditions via surface heating or a fan convector, more effectively. A special PV function also opens up the possibility of utilising free solar power for cooling of the building. For intelligent maintenance support, Aquarea Service Cloud is available as part of the Aquarea Smart Cloud control system, which allows users to operate the Aquarea remotely via a smartphone. Aquarea Service Cloud saves time and installer visits by connecting Aquarea to a powerful cloud infrastructure to monitor remote error codes. This enables installers to respond more quickly to faults and issues, keeping the customer completely satisfied with their heating and hot water systems. 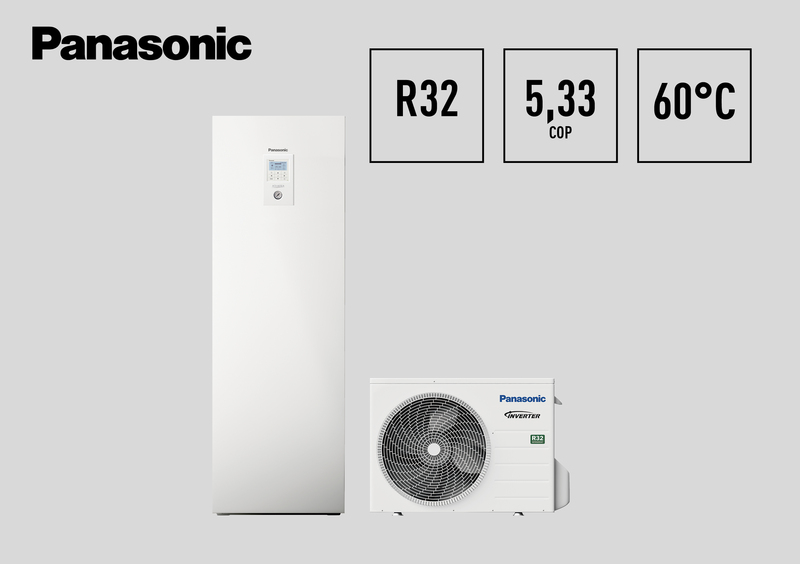 For visitors interested in commercial solutions, Panasonic will present the BIG PACi R32 line up, which gives distributors and installers a higher value, future-proof offering for customers with the reassurance that the products adhere to impending European legislation. Business owners making the switch to PACi R32 can also benefit from energy and cost savings, thanks to a higher energy efficiency performance of up to 10% with R32. Available in 20kW and 25kW capacities, the new models have a more compact indoor chassis for easy installation and a light-weight, split-able duct system. 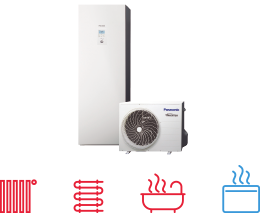 The new models also include a water heat exchanger option, the very first of its kind in Europe – available from July 2019. Compatible with the PACi R32 range, is the new PRO-HT Tank range – another point of interest at the booth. Featuring double pipe Nano technology, the PRO-HT DHW Tank provides excellent heat transfer thanks to a pipe-in-pipe heat exchanger. When connecting R32 PACi or ECOi 2 PIPE units, the maximum output of domestic hot water reaches up to 75˚C, with an energy efficiency class of A+. When used in conjunction with ECOi 3 PIPE units, the 1000 litre tank can produce free DHW up to 65˚C via a heat recovery system, reducing operating costs and energy usage. With a high COP rating of up to 6.70, it’s an ideal solution for large commercial applications, such as hotels. Available in a range of capacities 1000, 500 and 200 litres (PAW-VP1000/500/200LDHW). To discover how Panasonic solutions can maximise efficiency in residential and commercial environments visit ISH, Hall 11, Booth E67.